I think you should have learned to speak Italian a long time ago. Get some elementary Italian grammar books at the public library, and ask your husband to help you. Start practicing with him. I'll bet he will be pleased, and your mother-in-law will be astonished. Forget to save some of your favorite Ann Landers columns? "Nuggets and Doozies" is the answer. Send a self-addressed, long, business-sized envelope and a check or money order for $5.25 (this includes postage and handling) to: Creators Syndicate, 737 3rd Street, Hermosa Beach, CA 90254. 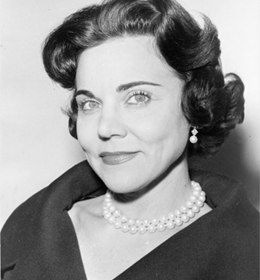 To find out more about Ann Landers and read her past columns, visit the Creators Syndicate Web page at www.creators.com.